I went down to the river Thames a couple of mile from home today for some portable operation and some experimenting with an end fed half wave antenna. 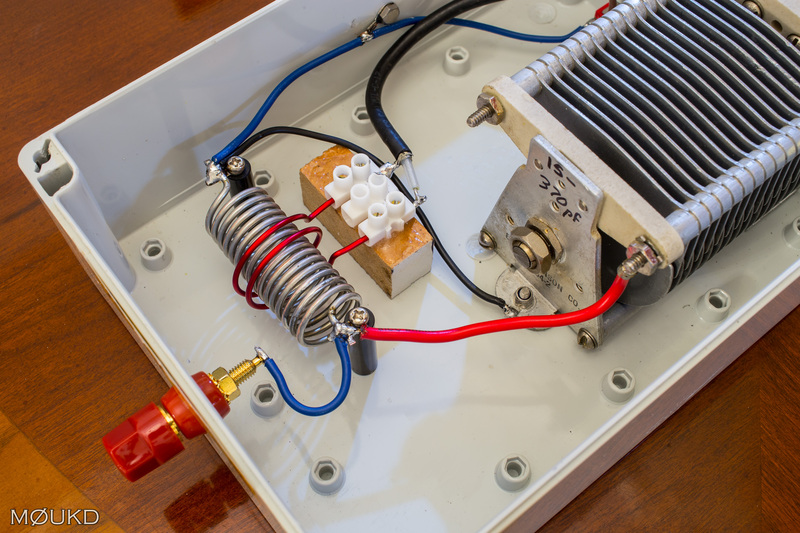 I recently built a Parallel tuned coupler for feeding end fed half waves from 7-30MHz and this was tested on a few bands. I wanted to try 15m, but the band was full of contest stations due to the Scandinavian contest, so I cut a piece of wire for a 17m vertical. Below is some video took by Dave M0TAZ of me working Chris SM0OWX on 18MHz. I have used the coupler on a few different bands now in various configurations with good results. I shall add a post with more results after some more tests and fine tuning soon. Here is a photo of the inside of the unit. 73 John.